Teeth whitening is a cosmetic dental procedure that removes years of stains from your teeth to make them brighter and whiter. Your teeth can become discolored or stained from a number of things, including: smoking, chewing tobacco, certain foods and drinks, poor dental hygiene, normal wear due to aging, genetics, and excessive fluoride. There are two types of stains that can discolor your teeth: extrinsic and intrinsic. Extrinsic stains appear on the enamel and are usually caused by external factors that you can control, such as diet and dental habits. Intrinsic stains, on the other hand, affect the dentin layer and are caused by things like aging and medications, which are harder to control. Professional teeth whitening is specially designed to remove both extrinsic and intrinsic stains in a non-invasive dental procedure. Your teeth are the most susceptible to new stains directly after whitening procedures. This means the best time to whiten your teeth is at night when you will not be eating or drinking anything after your whitening treatment. A night’s sleep also allows your teeth to rehydrate and remineralize after the whitening treatment. You may be a candidate for teeth whitening if you have teeth that are stained or discolored and you wish to remove these stains for a brighter smile. 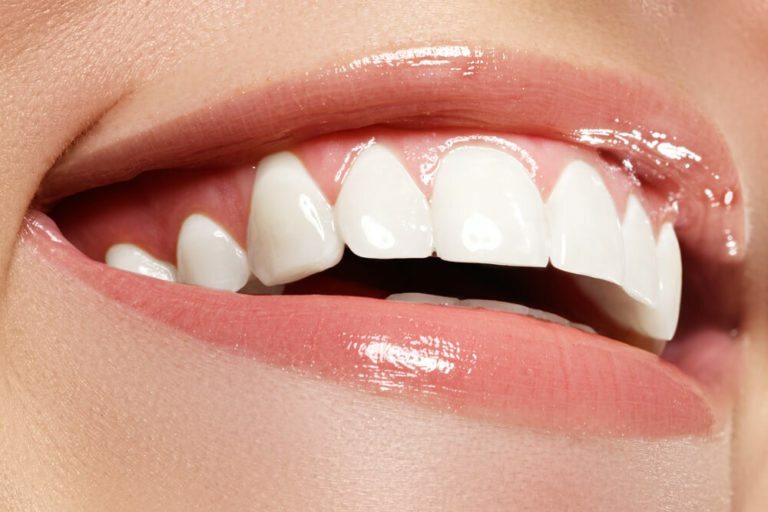 Additionally, you may be a candidate for teeth whitening if you are planning on having a permanent restoration placed and you want the restoration to match a whiter smile. To be sure that teeth whitening is the ideal choice for you, Dr. Heidarian will perform an examination of your teeth to identify possible dental problems that may affect your treatment and the results. During this examination, Dr. Heidarian will evaluate and discuss tooth sensitivity, tooth decay, infected gums, the replacement of old fillings, and the presences of possible bridges or crowns. To get started with your professional teeth whitening process, schedule a consultation with Dr. Heidarian of Heritage Park Dental today! What are my teeth whitening options at Heritage Park Dental? At Heritage Park Dental, we will discuss your teeth whitening options based upon the results from your dental examination. We do this in order to fit you with the best whitening treatment for your individual dental needs. Often times, over the counter whitening treatments do not meet these needs and can cause additional dental problems. To prevent possible complications from teeth whitening, Dr. Heidarian will spend time discussing your whitening goals and current dental health to ensure that you get matched with the best whitening treatment. As mentioned before, things like tooth sensitivity, tooth decay, infected gums, and the presence of fillings, bridges, or crowns are all possible factors that can affect your whitening treatment. What can I expect from professional teeth whitening at Heritage Park Dental? At Heritage Park Dental, your professional teeth whitening procedure will begin with us taking a dental impression, or mold, of your teeth. This mold will be used to custom design your transparent whitening trays so that they will properly fit to your teeth. This is highly important as improperly fitting trays form gaps that can allow the bleaching agent to pool and cause a chemical burn. By having your whitening trays customized to your teeth, the whitening agent will stay where it is supposed to and work better. Once your trays have been fabricated, Dr. Heidarian will check their fit in your mouth and make any possible needed adjustments. She will then explain the process you will use for whitening your teeth. 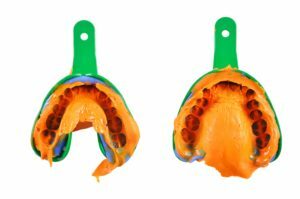 Generally this process consists of placing the whitening agent in the tray and then wearing the tray for a set amount of time. Although this sounds like the over the counter whitening process, it is important to remember that not only are the trays custom fit to your mouth, but the whitening agent is stronger than that of the over the counter products. As you continue to wear your whitening trays and whiten your teeth, you may experience some tooth sensitivity to hot or cold temperatures. This is a normal part of teeth whitening and it should subside shortly after you complete your last whitening tray. Can I have my teeth whitened if I have fillings or dental crowns? Yes, you can have your teeth whitened if you have fillings or dental crowns. However, only your natural teeth will react to the whitening agent. This means that the color of your fillings or dental crown will remain the same while your teeth whiten around it. Depending on the location of your filling or dental crown, this may or may not be an issue. Prior to your teeth whitening treatment, Dr. Heidarian will discuss the presence of fillings or dental crowns and provide suggestions on how to approach this when whitening your teeth. 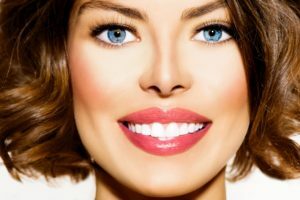 How long do the results from teeth whitening last? The results from your teeth whitening procedure can last anywhere from six months to three years depending on how your teeth respond to treatment, your dental health, and your personal habits. For example, individuals who smoke or drink coffee frequently will probably have results that last for less time than someone who avoids these things. To keep your teeth white for as long as possible, discuss your individual habits with Dr. Heidarian. However, keep in mind that your teeth will eventually become stained again, despite your best habits, simply due to aging. To keep your teeth whiter for longer, be sure to practice good dental hygiene habits. These include brushing twice a day for two minutes at a time (preferably with a whitening toothpaste), flossing once a day, and visiting Heritage Park Dental at least twice a year for your dental checkup and professional teeth cleaning. In addition, you will want to decrease the amount of highly pigment food and beverages you consume or be sure to brush immediately after their consumption. To enhance your smile with teeth whitening services, schedule a consultation with Dr. Shadi Heidarian of Heritage Park Dental today! Heritage Park Dental serves Palo Alto and the surrounding communities.